Handheld refractometer, 0 - 22 Be (Baume), 0-40% Brix, 0-25 % vol. 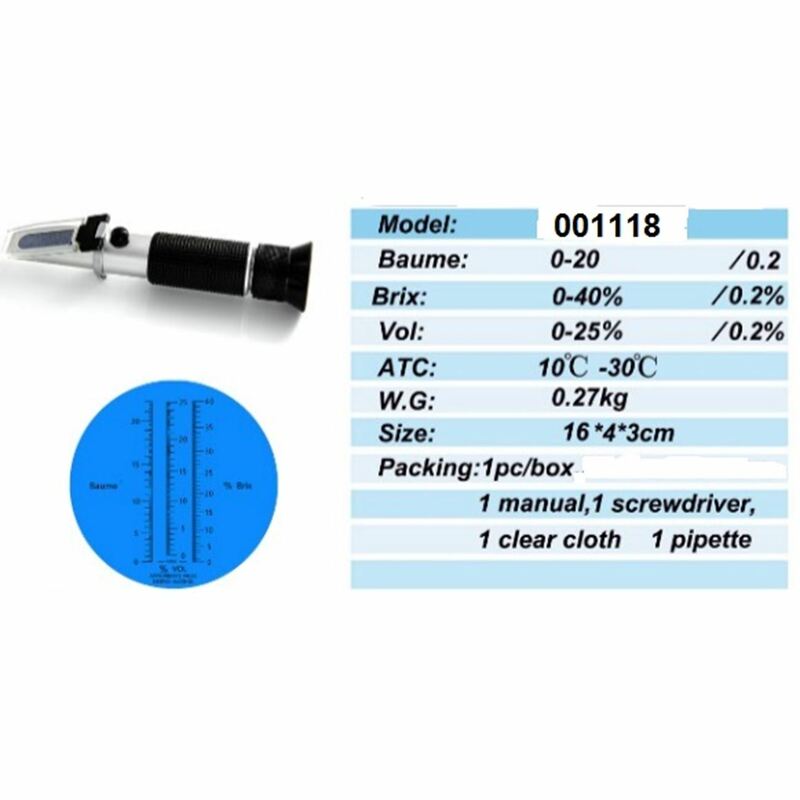 Suitable for grape growers and wine producers. 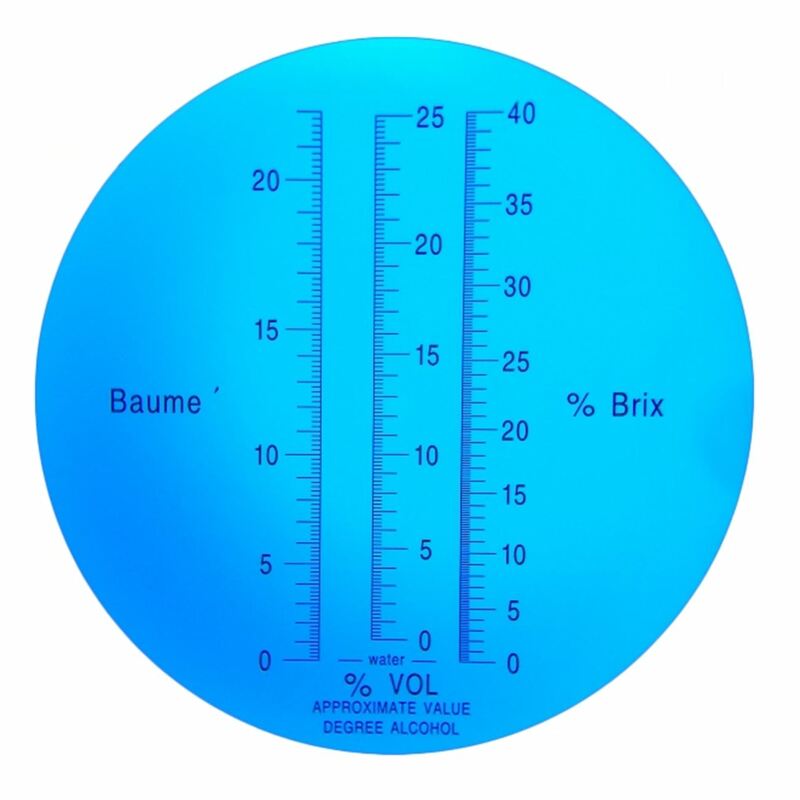 Baume (Be), Brix %,and alchohol estimation (Vol) % simultaneously. 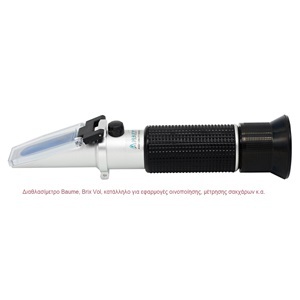 Refractometer for test beer. Cost effective solution for Beer wort (Brix %, Specific Gravity 1,000 - 1,120).